Chromosome abnormalities have been known for over 50 years, though the methods of analysis have become increasing more sophisticated and precise. Surprisingly, the questions that parents and families raise in genetic counseling have changed little over that period. Questions like, "Why did an abnormality happen? Why did it cause the problems we see in our child? Would it happen again in a future child? How could we avoid it happening again?" are common concerns for families. 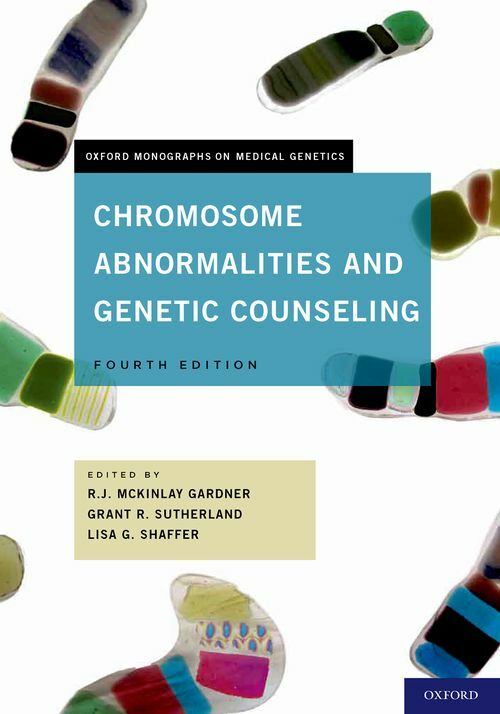 This new edition of Chromosome Abnormalities and Genetic Counseling deals with these universal questions, and in the context of the recent developments in molecular cytogenetic analysis, but retaining always the major focus on the needs of the families in which these conditions occur. Thoroughly updated once again, this richly-illustrated text combines basic concepts of chromosomal analysis with practical applications of recent advances in molecular cytogentics. The book will give counselors the information that will enable them to help concerned parents accommodate and adapt to their particular chromosomal challenges and to determine what may be, for them, the best course of action. Lisa G. Shaffer is President of Signature Genomic Laboratories. R.J. McKinlay Gardner is a Consultant Medical Geneticist at Northern Regional Genetic Service at Auckland City Hospital. Grant R. Sutherland is an Emeritus Geneticist at Women's and Children's Hospital in Adelaide, Australia.